She battles with the church’s description of sinfulness and feeling like there was “no chance of redemption…’sin’ weighed down like an unbearable yoke.” Yet, as this idea is internally fought, there is also a deep calling that continues to lead her back to church, God, and the Bible: “Every Sunday in church I felt something catching at my heart, as light as fishing line and as thick as a construction-crane lifting hook, pulling me compassionately but resolutely toward the pulpit and altar.” As a fellow clergy woman, this story of her path to rostered ministry made me smile and remember my own journey, my own struggle, my own fishing line. More than anything One Coin Found is a love story that takes us on the journey to fall in love with the Bible. When Kegler finally gives into her calling, she finds herself at seminary studying to be a pastor. As her studies progress, her lens shifts first from reading the Bible from a place of suspicion to one of survival, and finally finding a fierce grounding in reading the Bible through the lens of love. This is perhaps my favorite aspect of the book: throughout her own story, we are walked through story after story in the Bible, brought to a new life by beautiful retelling. Beginning and returning to the image of God, the woman, sweeping the floor, searching for Her beloved lost coin, we see ourselves throughout the book as the coin that is searched for until it is found, a coin that is celebrated even covered in the grime of being lost. In the retelling, many women of the Bible are highlighted because “the God of the Scriptures needed women,” along with the story of the lost sheep, the prodigal son, and Jacob/Israel wrestling with God and demanding a blessing, among many others. To each story, fierce love is applied and utilized to befriend the text, ending up with Paul himself. Paul, writer of the many letters at the end of the Bible, proves to be the most difficult to love, until he is seen in a new light as a young passionate Christian working to share the love of Christ with the young church. If you’re longing for the clarity of a fierce love to embrace the Bible in a new way, this book is for you! I recommend this book to all who feel difficult to love, to all who have struggled with parts or all of the Bible, to all who have felt kicked out of God’s church, to all who feel like a grubby lost coin in the corner of a room that will never be found. 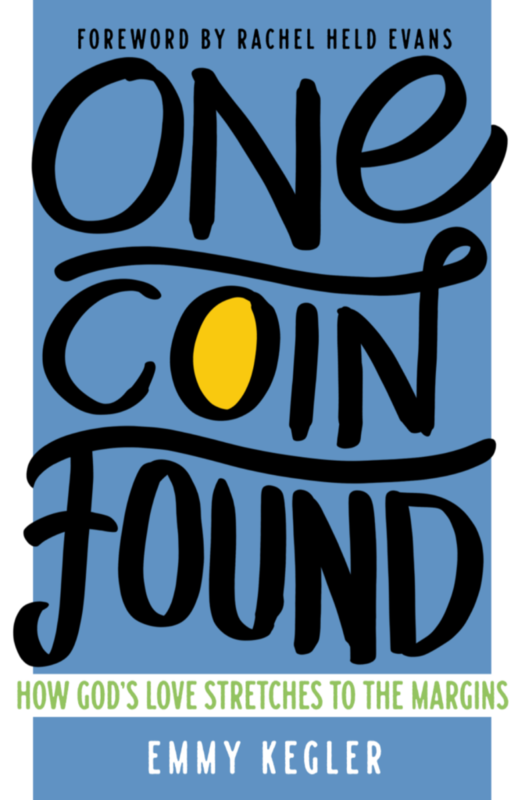 As One Coin Found reminds us all: God loves you, God is looking for you, God has already found you, you are found. Rev. Gretchen Rode is ordained in the Evangelical Lutheran Church in America and currently serves as the Pastor of Faith Formation at House of Hope Lutheran Church in New Hope, Minnesota. Gretchen is a passionate feminist who loves coffee, trying exciting foods, sitting in the front row (gasp), traveling and exploring new places, salsa dancing, and (above all) reading. Gretchen enjoys being a pastor’s wife to her spouse, Rev. Jill Rode, and a dog mama to their precocious pup, Petunia.